Dmytro works in finance at an energy and environmental services firm. He is an avid runner and has participated in competitions in Estonia, France, Germany, Greece, Netherlands, United Kingdom, and Ukraine. ​Dmytro is from Poninka, Khmelnytska Oblast and graduated from Kyiv National Economic University with a Masters in Banking. Tanya works as a Lecturer and Postdoctoral Researcher at Sheffield Hallam University. She also holds a leadership role in the Association of Ukrainian Women in Great Britain (OUZ). ​She is originally from Cherkasy, Ukraine and obtained a Masters in Human Physiology from Karazin Kharkiv National University and a PhD from the EMBL in Heidelberg, Germany. Iryna has been a long-standing volunteer for Ukraine Charity since its establishment 10 years ago. Among other projects, she has coordinated several Ivana Kupala summer fundraiser celebrations - a Ukraine Charity tradition. After graduation from Kyiv State University of Trade and Economics, she moved to London where she worked for more than 10 years as an event producer for a number of major UK media companies. She is now raising her family and two children. ​Ana is a student at King's College London reading Ancient History. She is involved with various societies at university, including Women and Politics and the King's College Law Society. Ana was born in Rivne, Ukraine and grew up in London. Oleksiy works for a leading international investment management firm. Besides co-founding Ukraine Charity, he was also involved in setting up the Ukrainian-British City Club and the Ukrainian Space networking community. He has a Masters from the London School of Economics and a Bachelors from Taras Shevchenko University, Kyiv. Halyna works for one of the largest housing, care and support services providers in London as a caseworker and is also continuing her education. She has run in competitions in Denmark, Iceland and United Kingdom. Originally from Lviv, Halyna graduated with an Masters in Human Rights from Kingston University in London. Igor works for a global private markets firm and focuses on investments in the infrastructure sector. He has participated in marathon races in San Francisco and Cornwall, United Kingdom. 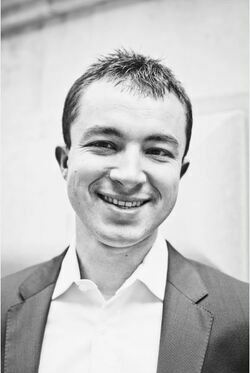 Igor was born in Ternopil, Ukraine, grew up in United States, and has a Bachelors in Finance from The Wharton School and an MBA from INSEAD in France. ​Ukraine Charity was established in 2007 in London in order to raise funds for various charitable causes in Ukraine. Our primary focus has been on helping orphans and underprivileged children and young adults in Ukraine. The charity operates on a volunteer basis without overhead costs and we make sure the funds you raise or contribute are all channelled to the desired beneficiaries in Ukraine and their utilization is controlled as tightly as possible. Ukraine Charity is registered as a charity with the Charity Commission for England and Wales. Ukraine Charity was founded by Oleksiy Soroka, Igor Hordiyevych and Ihor Okhrimenko. 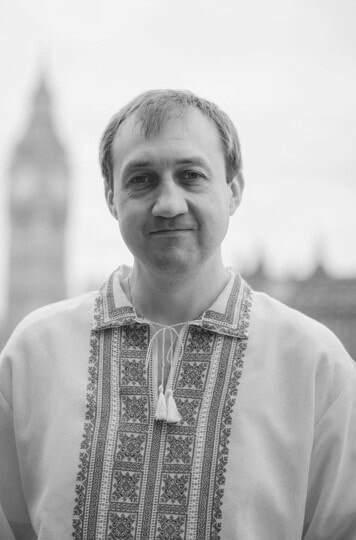 Over the years many talented and altruistic individuals from the Ukrainian community in London, and from around the world, have contributed to the success of the organisation. The current Trustees are Halyna Tatara, Igor Makar, Tanya Klymenko, Dmytro Kuziak, and Iryna Zeldes Le Broussois​, and we are always looking to grow our team further. You can learn more about our story by reading this brochure we created to celebrate our first 10 years. Ukraine Charity is registered with the Charity Commission for England and Wales (Registration No. 1163036). Our charity brochure was created to commemorate our 10-year anniversary and provides additional detail on our history, impact and ambitions for the future. 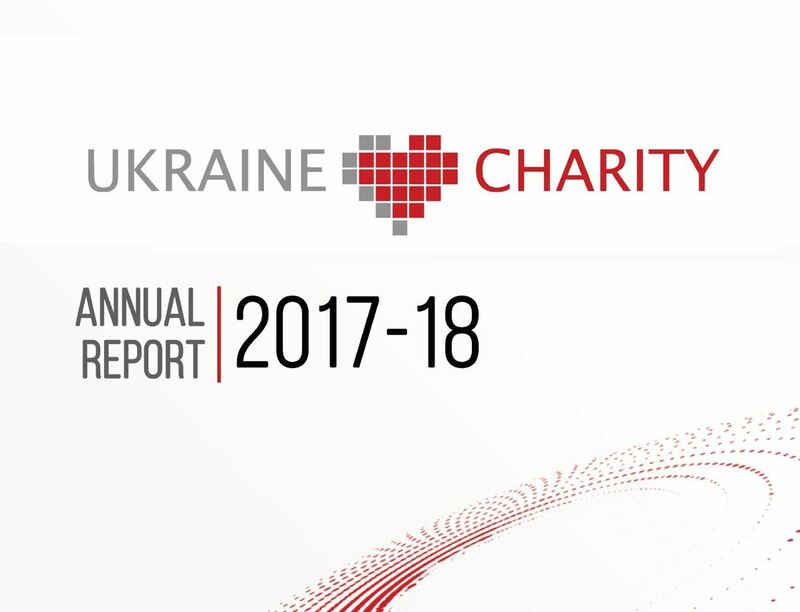 Our annual report goes into more detail about each of the projects we have completed in the last year, the various fundraising events held and aggregate results of our work. ​Ukrainian Events in London is a nonprofit platform run by volunteers. The main goal of the project is to promote Ukraine and Ukrainian culture in Great Britain by supporting and organising charitable, cultural, sports, business and social events. Your guide to the Ukrainian life in London: www.ukrainianlondon.co.uk. ​​The Ukrainian Institute in London develops and promotes a greater awareness, understanding and knowledge of Ukrainian history, language, religion, current affairs, economy, literature and culture through educational, professional and networking activities. Located in Holland Park, the Institute is maintained and supported by the Society of St Sophia and is affiliated with the Ukrainian Catholic University. http://ukrainianinstitute.org.uk. ​Ukrainian-British City Club (UBCC) is a London-based nonprofit organisation set out to function as a chamber of commerce to facilitate business, trade, investments and mutual understanding between Ukraine and the United Kingdom. UBCC organises business events, aimed at increasing awareness of business issues and is an excellent networking opportunity for corporate and individual members to widen business and trade contacts, as well as to promote and enhance their business activities in the United Kingdom and Ukraine. ​www.ubcc.co.uk. ​Ukrainian Youth Association (“СУМ” in Ukrainian) is an international, voluntary and non-profit organisation with branches throughout the United Kingdom and around the world. It was founded in Ukraine in 1925 and re-established in Great Britain in 1948, after the arrival of Ukrainian emigrants. CYM has a long history of bringing Ukrainians together, organising events for them, instilling Christian ethics, good behaviour, leadership qualities and promoting Ukrainian culture. https://cym.org​. Copyright © UKRAINE CHARITY 2017. All Rights Reserved.